Andhra Pesarattu Recipe or Green gram dosa or Moong dal dosa recipe in hindi. 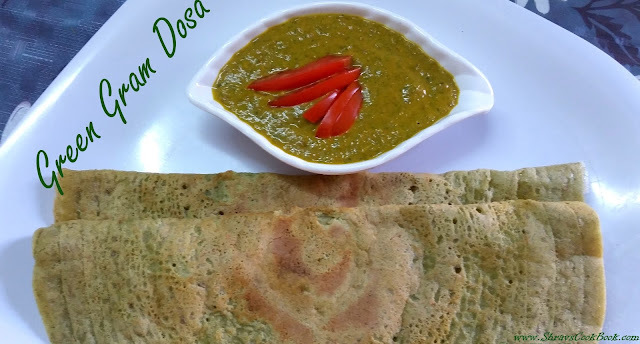 Before going to know how to prepare pesarattu let us know few facts, this is a healthy recipe made with whole green gram which are known as pesarlu (pesalu) in Telugu. This is a popular breakfast recipe in Andhra region known as pesarattu recipe in telugu. Upma is preferred as the best pesarattu side dish. Whenever I prepare pesarattu on the first day I serve it with any chutney of my choice. And on the next day when I make pesarattu with leftover batter I prepare upma as sides for this instead of chutneys. Allam Pachadi is also one of the popular pesarattu dosa side dish. Usually I prepare Mint and tomato chutney as my husband feels this as the perfect pesarattu chutney. We can make this dosa with split green gram also if in case whole green gram is not available. Also we can make this dosa with yellow gram (i.e. pesara pappu in telugu) also. But with yellow gram you can find some difference in taste, colour and texture. Green gram is fully packed with protiens and is rich in healthy fibre. This is a pure vegan and gluten free recipe. So people who are diet conscious and prefer gluten free recipes can easily have these dosa crepes without any guilt. Also fermentation is not required for this dosa, but moong dal should be soaked for atleast 5 to 6 hours. Let us proceed to make pesarattu dosa andhra style. 7. Tasty and healthy crispy pesarattu recipe is ready to serve. 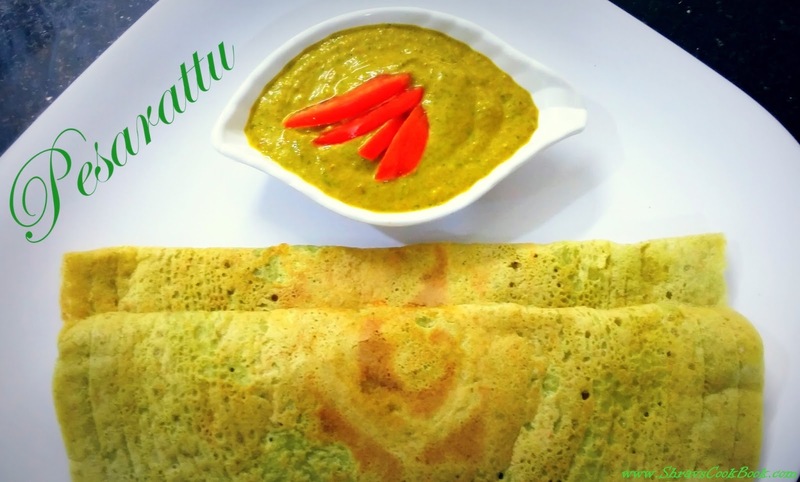 You can serve this andhra pesarattu recipe with any chutney of your choice. 1. After laying dosa sprinkle some finely chopped onions and then flip it onto the other side for frying. This enhances the taste of pesarattu further.